A man with a mysterious existence, wearing a hat, sunglasses, gloves and long coat with lifted collars, holding a lens& binoculars – this is generally the impression which comes to our minds when we use the word DETECTIVE. A daringly exciting & challenging line of service this is. 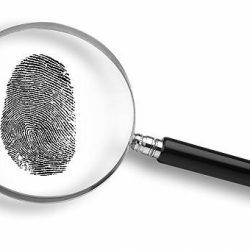 In layman’s terms, a Detective or Sleuth is a professional investigator, skilled in the tactful art of identifying the clues and generating evidence through close analysis of a scene of the crime. This leads to the establishment of facts that reveal the actual truth and finally… solving crimes. Interestingly, a detective is also referred to as a Sleuth or Private Eye. To become a detective in India, an individual can join a detective agency as a fresher where he is given on the job training – there are several agencies which also offer professional courses. If you wish to be working for the best detective agency in India or be counted amongst the best detectives in India, you have a lot to learn. A person must possess a good IQ level both on and off the field. He must have the ability to read between the lines and generate inferences from interaction during an investigation. By looking at a person at a glance, the detective should be able to make out the nature and personality of an individual. It is important for a detective to have a sharp, swift and clear, focussed mindset. A sharp mind enables intricate observation & analysis of a person/situation. Being spontaneous is an important attribute, required to handle sudden, unexpected turn of events. Investigation services in India often get tricky cases which require not only training but a sixth sense and some common sense to solve. In addition to the above, a detective should have patience, tolerance & wisdom. He should be manipulative, tactful and have the ability to take quick on the spot decisions. Being creative and imaginative are further add-ons, which can enhance the attributes of a detective. There are few international bodies which also provide professional training on how to become a detective. The training is also imparted by detective agencies operating in an area. A noteworthy point is that no formal education is required to become a detective, however, if one is a graduate in any stream, will only add on to his skills. You can apply for any Investigation agency in India. Age factor also does not matter as long as one can perform well for a given assignment. Remember – “There is a Sherlock Holmes in every person, we just need to tap it to become THE sleuth we can be”.